Is there any real need to make another Frankenstein movie? Probably not. Is there any real need to add extra cheese to a pizza? Of course not. Why do we do it then? Because, sometimes it’s just too awesome not to do. 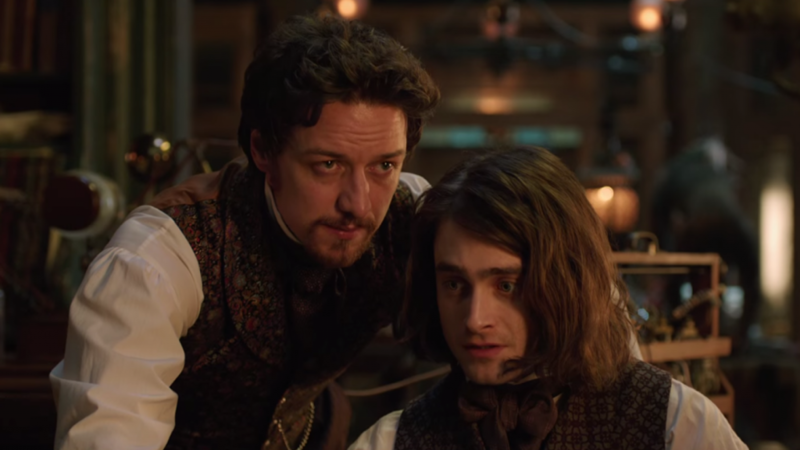 Even if I can’t tell exactly what kind of movie ‘Victor Frankenstein‘ was supposed to be, sci fi, drama, action, horror, who knows, it was a really fun watch. The whole movie happens in nighttime London; probably because the sun has no place in a Frankenstein movie. 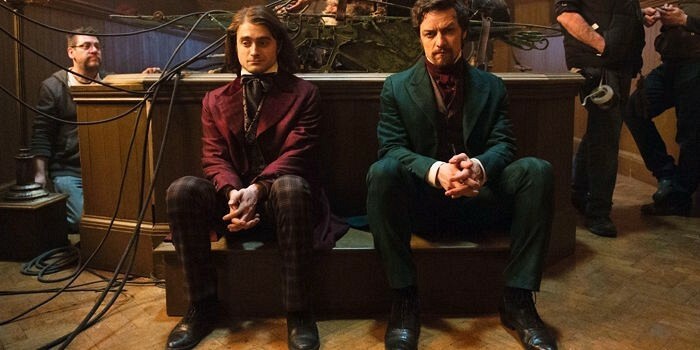 James McAvoy is the brilliantly insane Med Student Frankenstein who teams up with physically deformed, and especially fantastic Daniel Radcliffe as Igor, to create life from death. That’s not a spoiler, by the way. If you don’t know this about Frankenstein, for shame. It is a modern approach in the sense that it takes cues from some recent action and/or comic book movies, though it stays grounded in its time period by design. Totally stylistically shot, the grim streets of old London look ultra-realistic while the contrasting bright color scenes stand out like a pastel painting. The entire movie has a fantasy feel that is perfectly at home with its horror theme. You’ll never quite be scared, but it would get a Tim Burton stamp of approval. This is director Paul McGuigan’s slevinth film (I had to), and may be his best work yet. There’s all sorts of subtext about the nature of life and humanity and the soul and god and everything that we already know is the Frankenstein dilemma, but what’s so cool about it is how maniacally McAvoy portrays the drive behind the doctor. His obsession permeates every scene, but he plays it with a certain charm that is quintessential for any tragic hero. The movie might feel a little convoluted at times. There is a (thankfully) underplayed love story for Igor. Actually, now that I think about it, good for Igor! Also, the movie is somewhat bookended with uncharacteristically action packed sequences, but it all works. All I can say is, ultimately, it’s pretty Frankentastic. This entry was posted on Wednesday, November 25th, 2015 at 10:11 am	and is filed under Film, News. You can follow any responses to this entry through the RSS 2.0 feed. You can skip to the end and leave a response. Pinging is currently not allowed. « Enjoy this Excellent Trailer for ‘Captain America: Civil War’!